Lok Sabha Elections 2019 has gripped India! The first phase of voting began today with polling being held for 91 Lok Sabha seats across 20 states and Union Territories. The voting is spread over seven phases with the last phase on May 19. And as polling continues, celebrities, politicians, the Election Commission has encouraged people to go out and vote. However, it becomes difficult for those who are registered in their hometowns but live elsewhere. While that poses a problem, Samsonite India has released a video encouraging voters to exercise their right by taking a day off from work. 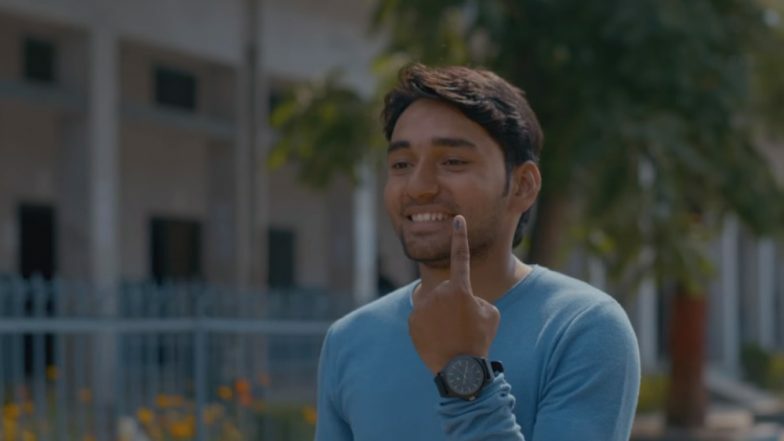 The new video made in the view of the ongoing Lok Sabha polls, urges people to vote even if they are currently in a different city. The ad beautifully explains how one should cast their vote looking at it as the duty of the country's citizen. It traces the journey of a young man who visits Dehradun, his hometown, only for a day, just to vote. Samsonite India shared the video titled '#EkDinKiChutti Let's travel to vote' saying, "We travel back home for love. The love of friends & family, the love of home cooked meals and memories. This time, let's travel for another love. The love for our country. Many of us are registered in a different city. Come, let's take #EkDinKiChutti and #TravelToVote See Less." How To Vote #India? Google Answers with Informative Doodle Ahead of 2019 Lok Sabha Elections. The Election Commission of India announced the schedule of Lok Sabha polls on March 10. A total of 900 million voters are expected to cast their vote this Lok Sabha polls across 10 lakh polling stations. The results of Lok Sabha elections and Assembly polls will be declared on May 23. In the meanwhile, let's vote and celebrate the greatest festival of democracy!